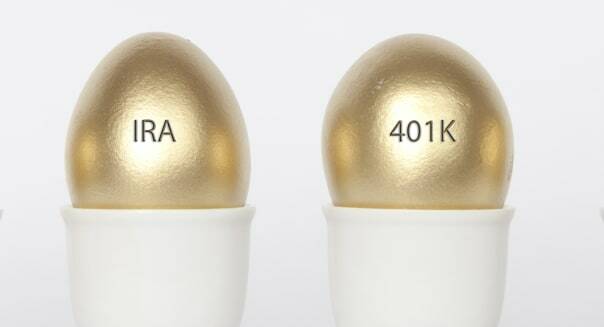 Most financial experts and guides tout the benefits of establishing either a 401(k) or a Roth individual retirement account, but to often, they don't discuss the benefits of combining both in your quest to amass a nice nest egg. Basically, 401(k) plans allow employees to contribute up to $17,500 per year, and there's a $5,500 catch-up contribution (that number goes up in 2015) allowed if you're over 50. The account is set up by your employer and there's no income cap. Most companies match your contributions, up to a point. If you are offered a 100 percent match up to 3 percent, that means the first 3 percent of your income you contributed to your 401(k) would be matched by an equal amount from employer. That's a simple way to double your money. (If you're self-employed, you can set up a Solo 401(k) or a SEP IRA. Talk to a financial professional to help you decide). But just as valuable are the benefits that kick in because 401(k) accounts are tax-advantaged. Your contributions are made with pre-tax money, which means that amount is deducted from your taxable income in the year you contribute it. That's a great way to lower your tax bill. Your distributions -- the money you'll take out of the account in retirement -- will be taxed as income. But you'll pay less in taxes today, which frees up more money for you to save and invest. With a Roth IRA, you establish and fund the account yourself: Your employer's not involved. Roth IRAs allow for contributions of up to $5,500 per year, or $6,500 if you're over 50. Roth IRAs have income caps. If you are single, your modified adjusted gross income must be under $114,000 to be able to make a full contribution and if you're married filing jointly your MAGI must be under $181,000. If you make slightly more than those amounts, you may be in the phase-out range and be able to make a partial Roth IRA contribution. You'll pay taxes on the money you put into a Roth IRA the year you earn it, but Roth withdrawals are not taxed, which means all the profits you make on the investments in the account are tax-free, too. You're also allowed to withdraw your contributions -- the principle -- at any time without penalty. You will face a penalty if you withdraw earnings before age 59½. If you don't meet the income qualifications for a Roth IRA, see if your employer offers a Roth 401(k). You can elect to contribute to the Roth portion of your 401(k) and then your employer match will go into the pre-tax portion of your 401(k), thus allowing you to build up two retirement accounts with different tax implications. Having both Roth and pre-tax accounts can help diversify your tax buckets -- with the benefits complementing each other. A 401(k) or Roth 401(k) is a great retirement option for those who can take advantage of employer matches and for people looking to contribute a larger amount to their retirement portfolio. If invested wisely, the larger amount contributed today means an exponentially larger nest egg in the future thanks to compound growth working for you. But remember, with a traditional 401(k) you get the upfront tax deduction now and will have to pay taxes on the distributions in retirement. Your income in retirement will likely differ than it is today, which could put you in a different tax bracket. In addition, we don't know what tax brackets will look like in the future. Having a Roth IRA or Roth 401(k) with contributions that are post-tax can help even out some of the tax burden come retirement. By contributing to both types of accounts, you benefit from the ability to save more money today as well as having both pre- and post-tax contributions. Fast-forward to your 60s or 70s, when you've decided to retire. Many retirees take distributions from their 401(k)s first up to the 15 percent tax bracket. If they need additional income beyond that, they will take money out of their Roth IRAs since that income is not taxable. When it comes time to take distributions from your retirement accounts, work with a financial planner and a CPA to minimize your tax bill. The best-case scenario sees you maxing out both your 401(k) account and Roth IRA for optimal savings. But let's be real: this simply isn't going to be possible for anyone but the highest earners. To start, aim to contribute at least 10 percent of your pre-tax (or gross) income to your retirement accounts. Start by getting your company match in your 401(k) plan. Then work to contribute what you can to the Roth IRA. Maxing out your Roth would require monthly contributions of about $458 (or $541 for those over 50). If you can't manage that now, start with what you can do and work up from there. While both accounts have their own unique benefits, it's wise to focus more on the 401(k) now as you are saving money on taxes today. Plus, there's the added incentive of free money on the table via that employer match. By saving money now, you can contribute more to the Roth IRA and prepare to pay taxes later. Feel like 10 percent is too much? Don't get overwhelmed -- take baby steps. Try to get at least the employer match, and then work to bump up your contributions by 1 percent every six months or 2 percnt every year. And be sure to claim tax credits you qualify for by saving. Again, it's more important that you just get started than stress over not saving enough.